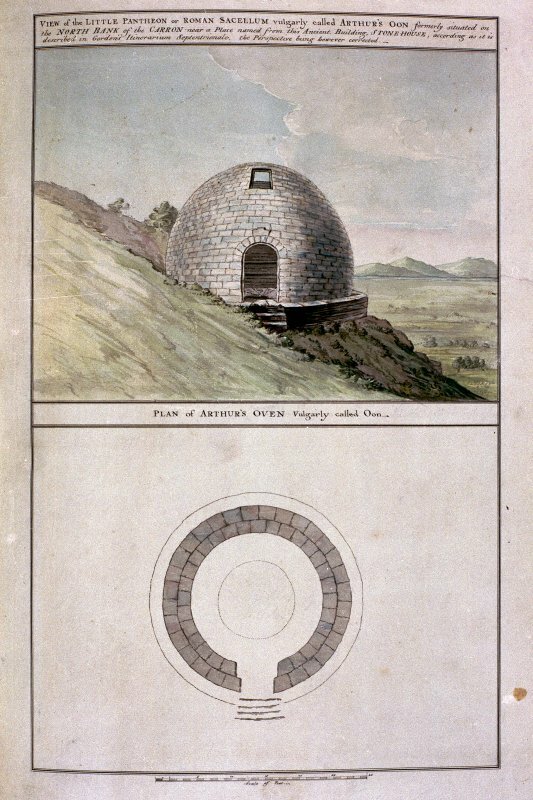 Plan and section of Arthur's O'on Roman temple. 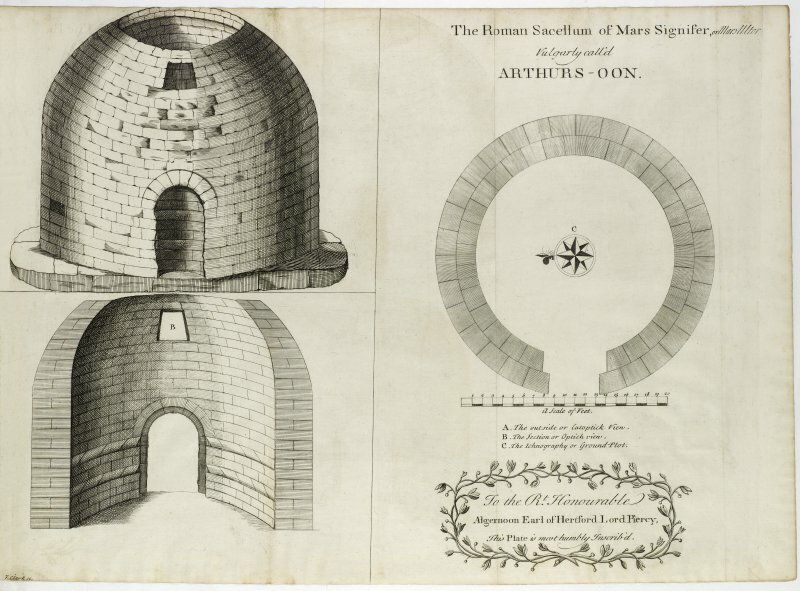 View and plan of the little Pantheon or Roman sacellum vulgarly called Arthur's O'n. Plate XXXVI from 'Military Antiquities of the Romans in Britain'. View of the replica of Arthur's O'on. 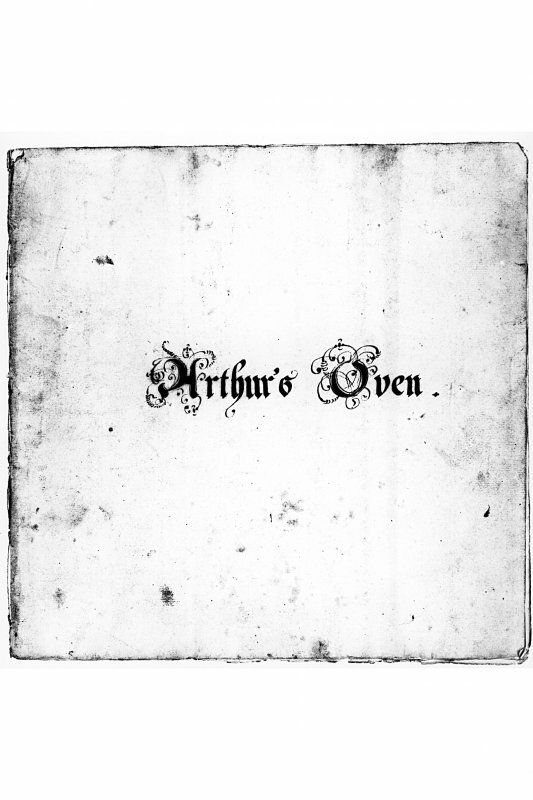 Engraving marking the demolition of Arthur's O'on by Sir Michael Bruce. 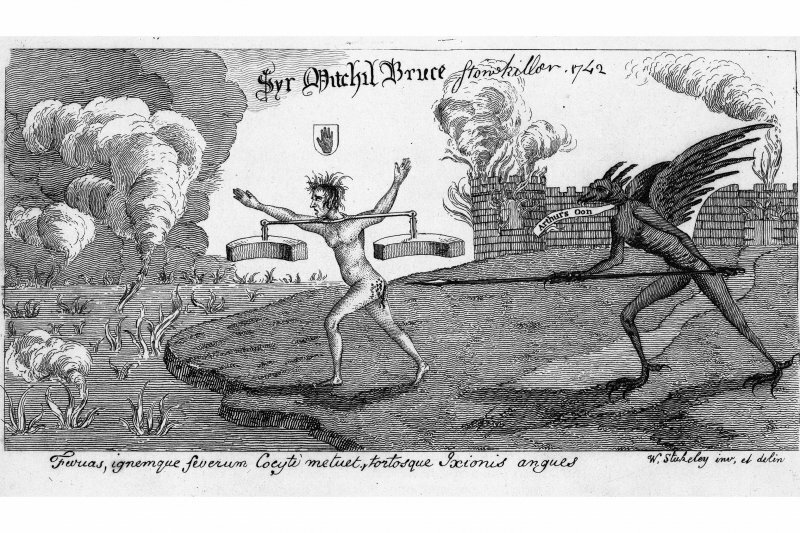 Published in the Antiquarian Repertory, 1780. In c. 1720 W Stukeley together with Mr. Felf carried out a survey of sites along the Antonine Wall or 'Graham's Dike'. They especially looked at site of Arthur's O'on. The volume contains three fold out illustrations, the first shows Roman carvings and inscriptions from along the Antonine Wall, the second a plan and perspective drawing of the temple buildings and the third a map showing the length the wall and immediately surrounding areas. Arthur's Oon was virtually complete until demolished in 1743, so for details we have to rely on early antiquaries (bibliography given in K A Steer (1958)). 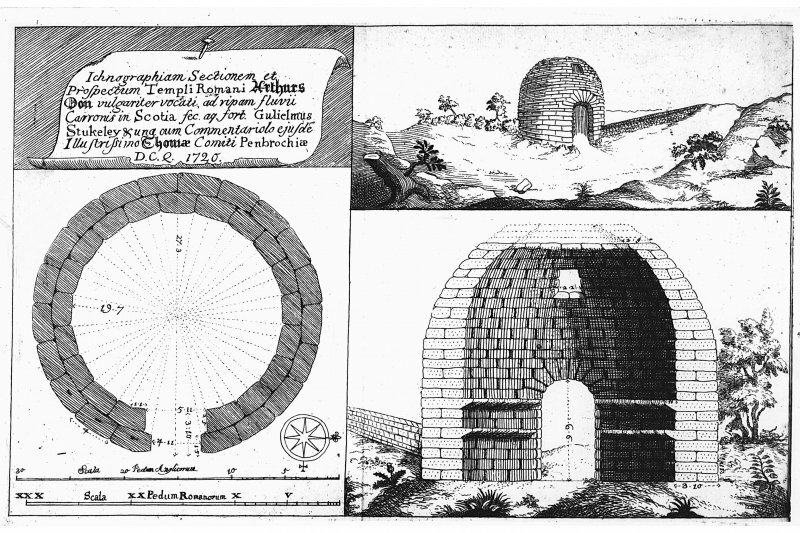 It was built of dry freestone blocks measuring up to 4' by 1'10" with walls c. 4' thick describing a circle some 28' in outer diameter. 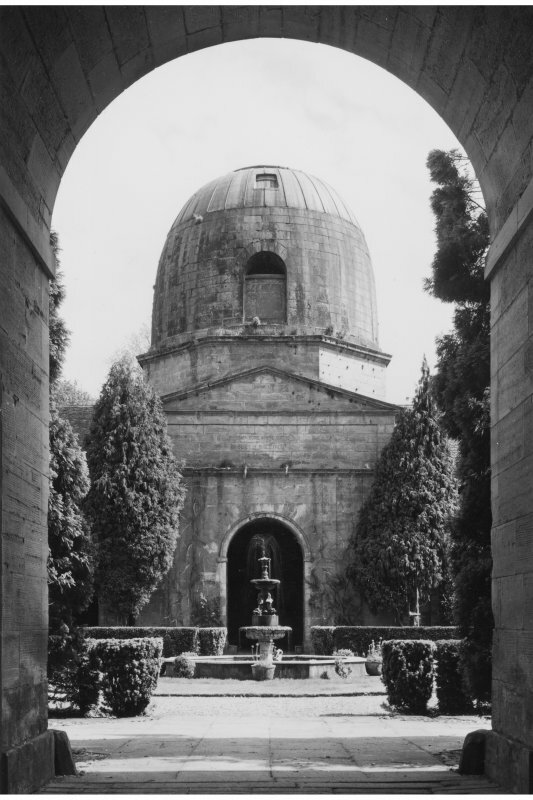 Above, it rose in a corbelled dome to a height of 22' with a circular hole at the top which was perhaps original. A huge stone block inside, presumably the altar or statue base was reported by an early writer, and of the antiquaries who claimed to see carvings on the wall (mainly above the door inside), four made out eagles, two Victories, and two, inscriptions. The Oon's Roman date is certain as its masonry was far better than any native or Saxon work could be, and it is mentioned in a gloss on Nennius, perhaps of 9th century origin. The building is unique. It was definitely a temple, since a bronze finger from the cult statue was found in a crevice (the figure might have stood on the pedestal mentioned), and was too far from a fort or road to have been a bath or mausoleum. Ox horns, perhaps sacrificial, were found nearby. Its proximity to a spring has caused the suggestion that it was dedicated to a water goddess, but the masonry is too good to suit a shrine to a local godling. Its skilful construction shows that only the military could have built it. A broken relief from Rose Hill on Hadrian's Wall depicts Victory, an eagle, and a round domed building under a tree, which can only represent a structure like Arthur's Oon. If we accept the carvings alleged on the Oon, it is remarkable that they refer to Victory, and to eagles. 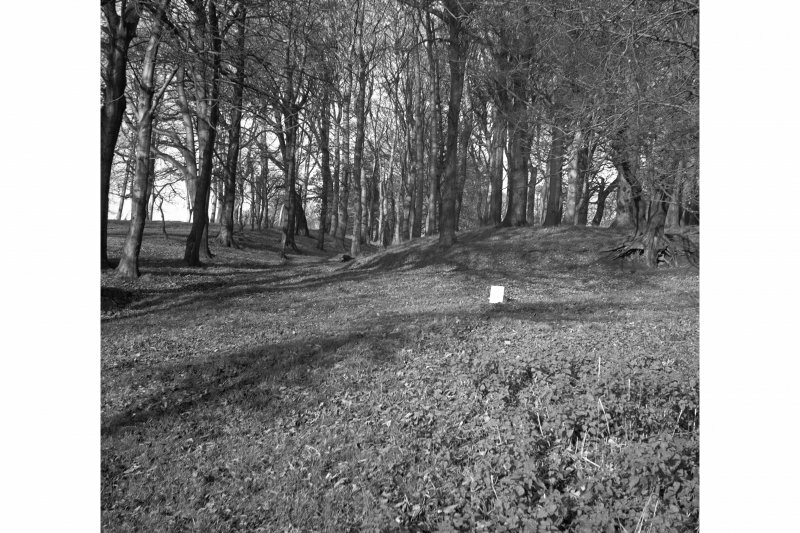 It is true that Victory was normally worshipped in the forts, but the easiest interpretation is that the Oon was a tropaeum, an official monument dedicated to Victory, and also commemorating the campaign that led to the establishment of the Antonine Wall. Since the Oon is unlikely to be Agricolan, its dates are limited to the period of occupation of the Antonine Wall. When visited in 1950, nothing of the building was visible. Visited by OS (FDC) 21 June 1950.